Buy One Guest, Get the Second Guest 50% Off. 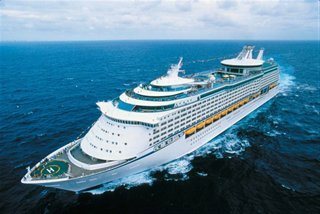 Up to $75 per Couple Shipboard Credit. Soak up Sydney’s gorgeous harbour, seductive outdoor lifestyle and great natural beauty. Kayak under the Sydney Harbour Bridge or wave at the Opera House as you ride a ferry across the harbour to Manly. Learn to surf at Bondi Beach or swim in the calm waters of Coogee. Lose yourself in the cobblestone cul-de-sacs of The Rocks or in the markets, boutiques, cafes and pubs of Paddington. As well as a world-famous harbour and more than 70 sparkling beaches, Sydney offers fabulous food, festivals and 24-7 fun. Discover Sydney’s colorful convict history in the harbourside quarter where it all began. Just five minutes from Circular Quay, you can hear stories of hangings and hauntings on a ghost tour, wander the weekend markets or climb the span of the Harbour Bridge. In amongst the maze of sandstone lanes and courtyards, you’ll find historic workman’s cottages and elegant terraces, art galleries, hotels with harbour views and Sydney’s oldest pubs. See people spill out of them onto a party on the cobblestone streets when The Rocks celebrates Australia Day on January 26th, Anzac Day on April 25th and New Years Eve. Sail past the Opera House on a chartered yacht or paddle from Rose Bay in a kayak. Take a scenic cruise from Circular Quay or Darling Harbour, past waterfront mansions, national parks and Shark, Clark, Rodd and Goat islands. Tour historic Fort Denison or learn about the life of Sydney’s first inhabitants, the Gadigal people, on an Aboriginal cultural cruise. Watch the harbour glitter from the green parklands of the Royal Botanic Gardens, which curves around its edge. Or take in the view from a waterfront restaurant in Mosman, on the northern side of the bridge, or Watsons Bay at South Head. Walk from Rose Bay to Vaucluse or Cremorne Point to Mosman Bay, on just some of the 16 spectacular routes hugging the harbour foreshore. 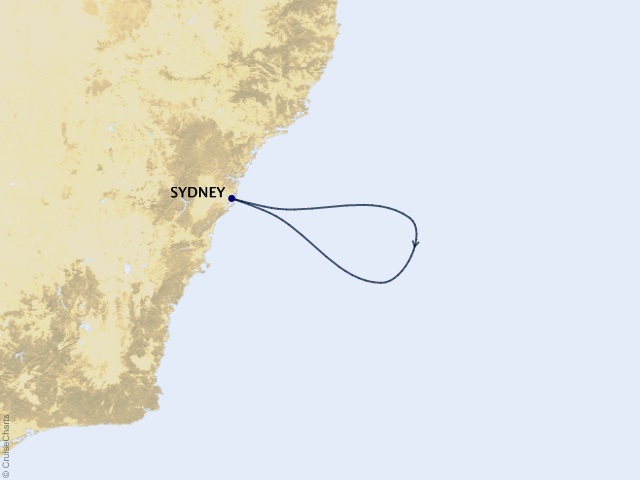 Travel across Sydney Harbour on a ferry to Manly, which sits between beaches of ocean surf and tranquil inner harbour. Wander through native bushland on the scenic Manly to Spit Bridge walk, learn to scuba-dive at Cabbage Tree Bay or ride a bike to Fairy Bower. Picnic at Shelly Beach on the ocean and sail or kayak from Manly Wharf round the harbour. Hire a scooter and do a round trip of northern beaches such as Narrabeen and Palm Beach. Explore the shops, bars and cafes along the bustling pine tree-lined Corso and dine at world-class restaurants with water views. Meander through the Saturday markets, browse fashion boutiques on bustling Oxford Street or discover the antique shops and art galleries in upmarket Woollahra. Visit the 1840s Victoria Barracks Army base, open to the public once a week, and see restored Victorian terraces on wide, leafy streets. Ride or roller-blade in huge Centennial Park, then stop for coffee and lunch on Oxford St or in the mini-village of Five Ways. Catch a movie at an art-house cinema or leaf through a novel at midnight in one of the huge bookstores. Crawl between the lively, historic pubs. They hum even more after a game at the nearby stadium or a race day, when girls and guys arrive in their crumpled trackside finery. Take in breathtaking views of the Pacific Ocean as you walk the winding, sea-sculpted sandstone cliffs between Bondi and Coogee. Swim in the famous Bondi Icebergs rock pool or just watch the swimmers with a sunset cocktail from the restaurant above. See wild waves in Tamarama, nicknamed Glamarama for the beautiful people who lie on its golden sand. From mid-October to November, the stretch from here to Bondi is transformed into an outdoor gallery for the Sculptures by the Sea exhibition. You can surf, picnic on the grass or stop for a coffee at family-friendly Bronte. Or swim, snorkel or scuba dive in Clovelly and tranquil Gordon’s Bay. See the graves of poets Henry Lawson, Dorothea Mackellar and aviator Lawrence Hargrave in Waverley Cemetery, on the edge of the cliffs. Finish your tour in the scenic, backpacker haven of Coogee. Rates are cruise only, per person, based on double occupancy. Taxes, Fees and Port Expenses additional for all guests (unless otherwise stated). Rates are subject to availability and may change without notice. Restrictions may apply.